We hope you’ve enjoyed learning about the Liberty Square apartment community in our blog. 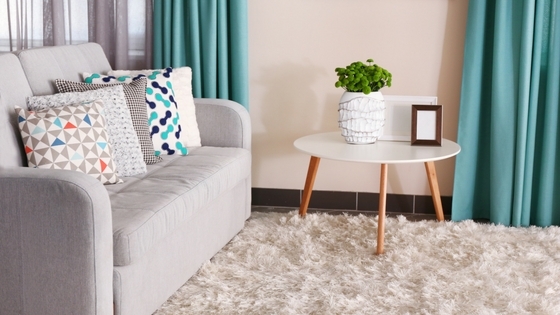 Today, we want to share with you some tips for decorating your apartment with furniture so you can enjoy relaxing in our Newark, DE home all year long. When you’re deciding on what to put in your apartment, think first about how you’ll use potential buys so you don’t get distracted by items you see and love but won’t practically use. Think also about how you can save space with furniture and heighten functionality with the pieces you choose. Vurni has some great products for multifunctional furniture ideas for apartments that you might enjoy or gain inspiration from. Furniture pieces are usually more permanent additions to your home, so when choosing styles and colors, it’s always a safe bet to go with neutral colors, soft tones, and classic styles. Your tastes may change in the future, so if you want to keep your items around for a while and ensure you won’t be sick of them, shying away from outrageous styles and colors might be a good idea. But, of course, if you love what you see, go for it! When thinking of how you might decorate your furniture, think of what contrasting and complementary colors will create the balanced look and feel you want the room to have. Once you’ve thought about what type of furniture you want and have an idea of what sort of style and look you want to achieve, measure your available space and write down different options that can work for you. Then you can tackle the most fun part — shopping! Before you set foot in a brick and mortar store, it’s a good idea to browse the internet or sites like Pinterest for apartment furniture ideas to get a clear idea of real-time prices and styles. Doing this sort of online window shopping will better prepare you for tackling the actual store with little stress or indecision. What are your favorite ways to decorate with furniture? Share your ideas in the comments. Thanks for reading!